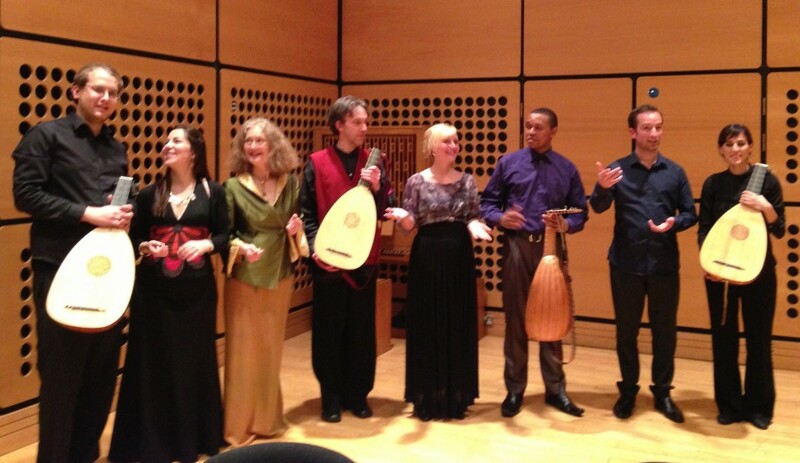 An evening of songs, duets, four-part ayres and instrumental fancies in honour of Shakespeare’s anniversary. Scattered through Shakespeare’s plays are songs of such artful directness that composers ever since have made their own settings of his lyrics. This programme will include two titles from The Tempest, set by Robert Johnson, arguably the only versions that might have been heard on Shakespeare’s stage along with near-contemporary settings by Morley and a version of ‘Orpheus with his lute’ by Maurice Greene. Using forces nearly equivalent to those at Shakespeare’s disposal, this programme gives an idea of the marvellous range of works from this period. Dowland and Danyel are included as well as a celebration of the 450th anniversary of the birth in the Veneto of Angelo Notari, whose volume “The First New Music” helped to establish Italian singing styles in Europe.